This is Shya. 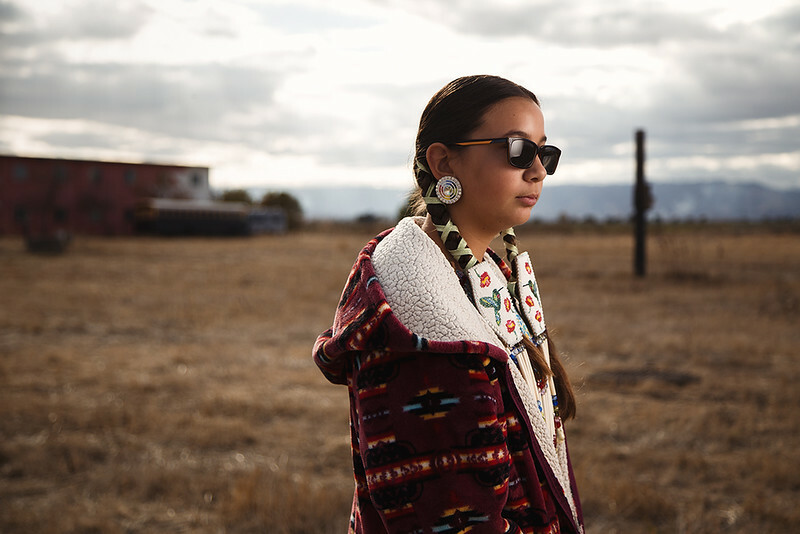 She's a Lakota and Pueblo Native American and only 13 years old. Like most young Natives that I have met, it seemed like she had a heavier weight on her shoulders compared to most kids. This comes with the fact that most Native children are more aware of their heritage and their identity, and with that comes many adult-like stressors. While most American kids only worry about playing games and going to school, Native children are processing what has happened to their ancestors and are being passed the torch to continue restoring their culture and rights. "It's very difficult for us to tell people who we are because they don't understand us. Most just don't know how we have been treated."